If you are thinking of declawing a cat or a veterinarian suggests declawing at the same time as neutering, you may want to consider these arguments against the procedure. It's a life-altering surgery for your pet, so it's important you have all the facts before making your decision. Be clear about what declawing is: the surgical amputation of the first joint of the cat's toes. Whether this procedure is accomplished with a scalpel, a guillotine-type cutter or a laser, it is major surgery, and not to be undertaken lightly. Think of it as 10 amputations (if only the front feet are declawed). Pain meds may help initially, but phantom pain may last for weeks or months as nerve endings heal. While a cat will likely bounce back quickly from surgery after neutering, the pain from declawing can be excruciating for the animal, and lead to serious behavior issues. Unlike neutering, which does benefit the cat, both healthwise and behavior wise, declawing simply does nothing positive for the cat. It's most often done as a matter of convenience to its owner. A typical counter-argument is, "My cat is indoors only." Even indoor cats sometimes manage to escape. A declawed cat does not stand a chance against a large dog, a bigger cat, or a predator. Although it still has teeth, a declawed cat would need to get close to a predator to bite it, at which point it may already be too late. Cats naturally are inclined to use their claws to bury their waste, which is why most take to using a litter box relatively quickly. Digging in litter or any other substance is painful for a declawed cat, and they'll likely associate the pain with the litter box itself. That may mean they avoid using the litter box altogether. When cats lose their ability to give a quick warning scratch, they will often resort to their second line of defense: their teeth. Be prepared for a declawed cat to resort to biting when it feels defenseless or otherwise in danger. Watch a cat stretch, whether horizontally on a carpet or vertically with a tall scratching post. It will grab the carpet or sisal with its claws, using the resistance to pull and stretch its muscles. 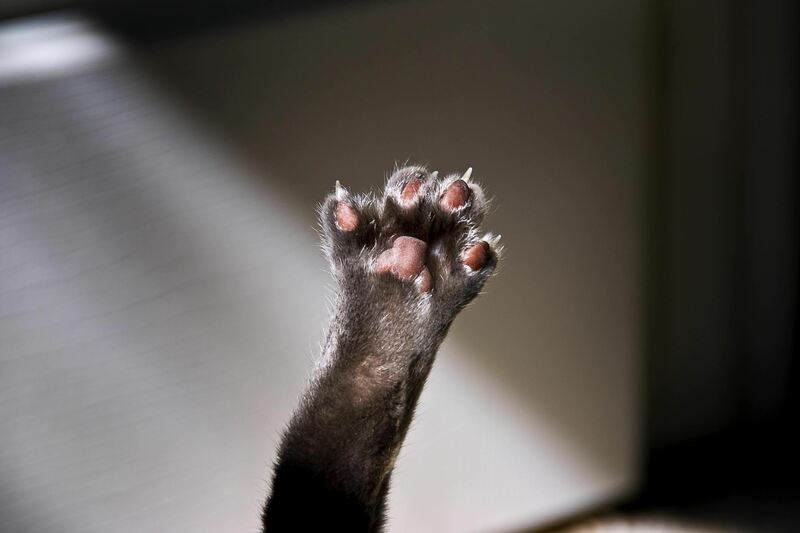 Cats' claws actually play a large and positive role in their muscle tone and agility. Domestic cats are digitigrade, meaning they walk on their toes. Removing the toe's first digit will alter the way your catwalks​ and may affect the joints in its leg. This may eventually lead to your cat developing arthritis in its hip and other joints. So removing its claws can be seriously detrimental to your cat's long-term health. If you're still unsure about whether to go through with declawing consider this: there may be more humane alternatives. It's your decision, but please take your cat's needs into serious consideration before making such a drastic and permanent choice.